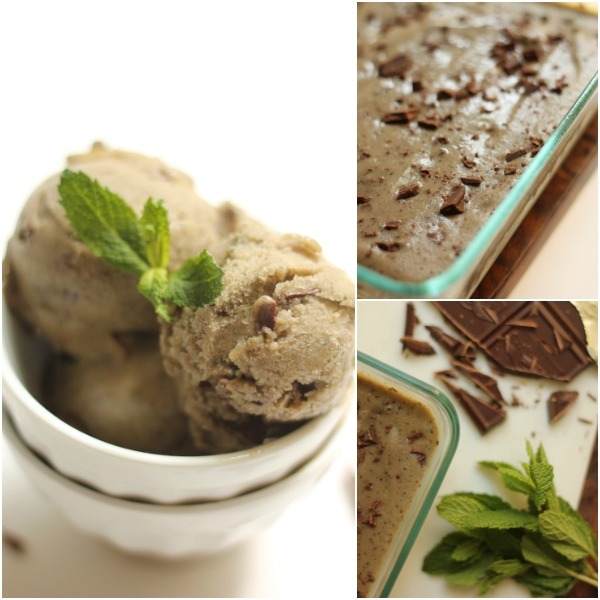 This easy 4-ingredient skinny "ice cream" is a much healthier option! It's great for those late-night summer cravings, with absolutely no guilt! Place bananas, almond milk, and mint leaves into a high-power blender (I used my blendtec , but you could use a food processor, too). Blend until smooth. Fold in dark chocolate and eat immediately like a soft serve. You could also place it in a freezer-safe container and freeze for 2-3 hours, then scoop and serve. You can add more or less almond milk to change the consistency. You could also add more or less mint leaves to change the taste, too.